I was listening to Bill Maher pontificating about global warming and how these severe winters are a part of Al Gore’s predictions. That being said… it has been pretty darned cold this winter… and that means we need some great Outdoor Clothing to protect ourselves from the elements. Our sponsor Berghaus has clothing for men, women and kids that will protect you in windy Chicago, the snow-blasted mid-Atlantic, or even on a snow-packed mountain. For me, just getting across a snow and ice covered parking lot is quite the adventure. 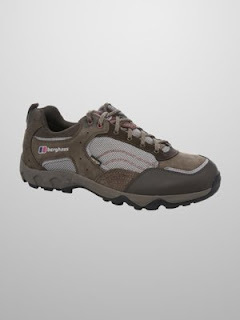 That is why I love the Men’s Explorer Trail low GORE-TEX® (no relation to Al Gore) performance walking shoes.